This Canton, MA back yard was overgrown and little used. 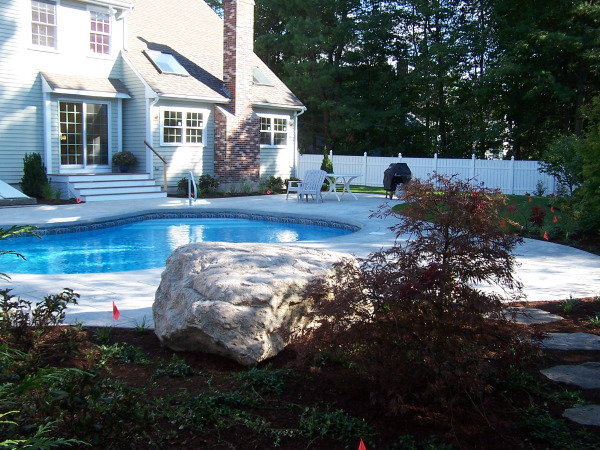 With kids who love to swim, the homeowners decided now was the time to invest in an outdoor living environment. This yard has transformed into a beautifully inviting oasis for swimming, sunning, gardening and entertaining. 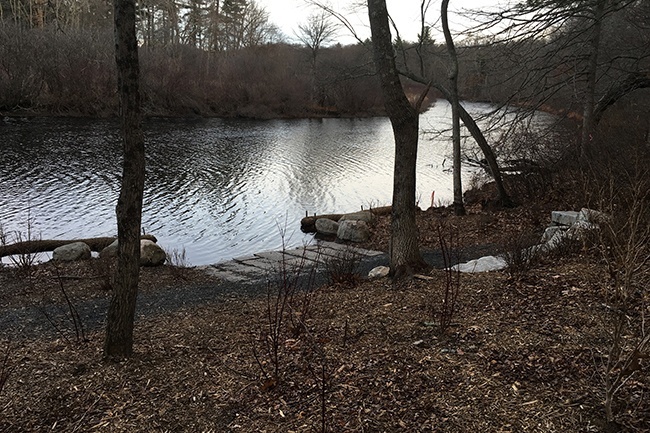 This Franklin, Mass pond is roughly 1800 gallons with a header pond and double spillway. 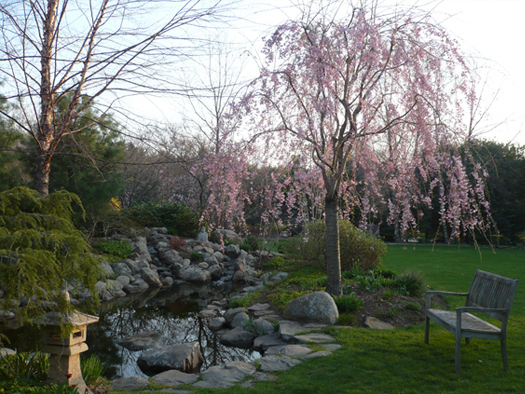 The sounds of water and early spring peepers make this pond a dominating feature in the landscape.